Anthony Slayter-Ralph appraised Pre-Columbian Anasazi ceramic vessels in Kansas City, August 2013. 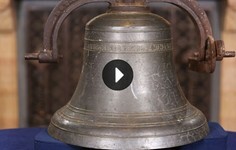 The historically important piece was worth between $3,000 and $4,000 in the retail market. 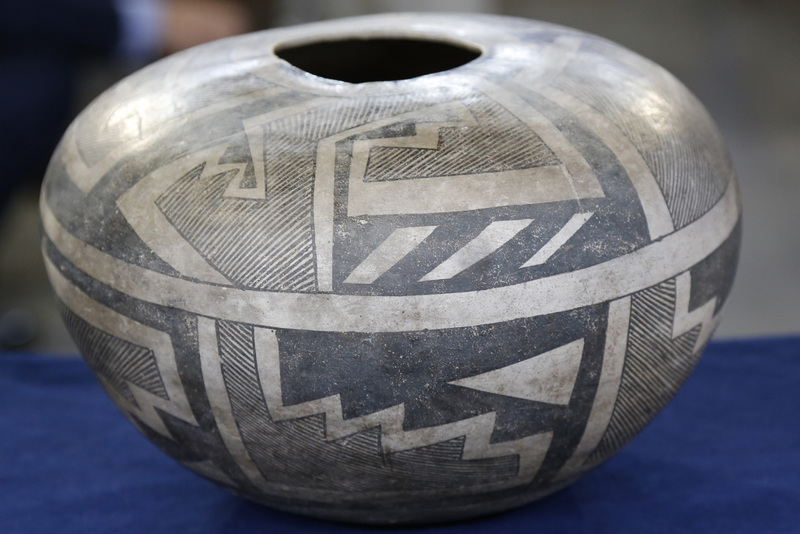 At the Kansas City, Missouri, ANTIQUES ROADSHOW in August 2013, a woman brought in what was probably a seed pot that was made by the Anasazi, a Native American pueblo people who lived near present-day Four Corners — the region where Utah, Colorado, New Mexico and Arizona come together. 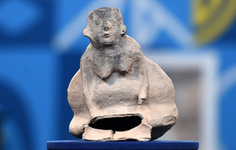 The pot was most likely made between 1000 and 1300 A.D. — clearly making it an important piece historically — and according to expert Anthony Slayter-Ralph was worth between $3,000 and $4,000 in the retail market. But this prehistoric pot, like many other Native American objects, raised an important question often asked by owners and collectors of Native American objects: What should be done with prehistoric and other Indian objects that you may possess, and when is it okay to buy or sell them? 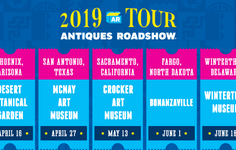 While Indian artifacts are highly sought-after collectibles on today's market, it is currently "a dangerous field to collect in," according to ANTIQUES ROADSHOW Tribal Arts appraiser Bruce Shackelford, who is also a consultant for museums regarding Native American history and objects. "It's not unusual for us to see things on the ROADSHOW that are questionable," he says. 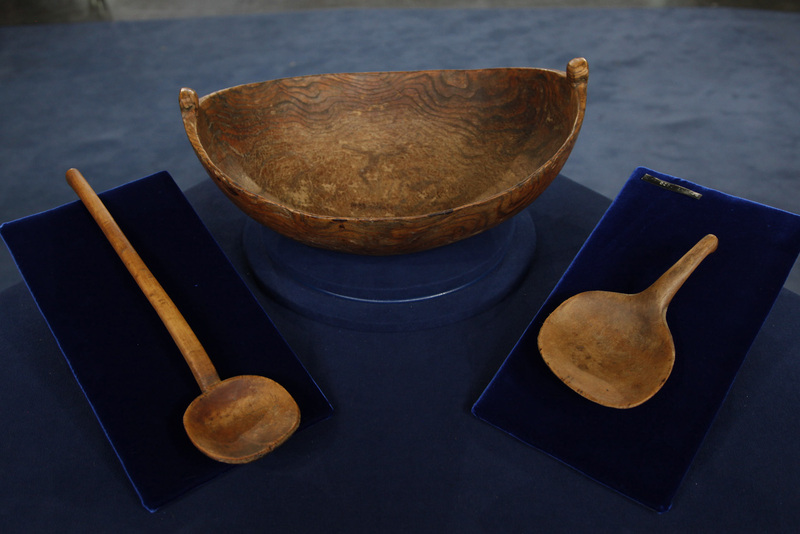 "It's a very complicated issue," adds John Buxton, another appraiser who often assesses Native American objects on ANTIQUES ROADSHOW. "There are issues around where objects come from — Are they from public lands or private lands? Are they grave goods? Were they made from an endangered species? Do you have good title? Are they stolen? It's a lot more complicated than it was 25 years ago." Numerous laws relate to the subject, and most affect the buying and selling of prehistoric pieces. Many laws forbid the taking of Native American artifacts from Indian and federal land, including national forests, parks and Bureau of Land Management land, unless granted a permit to do so. States, counties, and cities have passed their own laws restricting the taking of Native American objects. A Pre-Columbian Anasazi ceramic vessel, appraised by Anthony Slayter-Ralph in Kansas City, August 2013. The Endangered Species Act forbids the sale of any Indian object — old or new — that uses animal parts from endangered or protected species, such as eagles and other migratory birds. And Buxton notes that some of these laws — such as those overseeing the buying and selling of objects that include ivory — are "totally in flux." The animal protection laws are meant to curtail the killing of animals to make into salable Native American objects. Shackelford notes that other laws are designed to respect the graves and belongings of Native American groups — sometimes calling for the return of prehistoric and other objects to ancestral peoples — and to protect archeological sites and gravesites from ransacking. "There's a scientific way to excavate a site," Shackelford says. "It involves documenting the site and preserving information. If someone goes there and contaminates that site" — which is inevitable when objects are illegally excavated — "it's done." Shackelford explains: "To a good archeologist it's not about the stuff, it's about the knowledge that can be gained from the site. But to the unscrupulous dealer, it's just widgets and pots. They want things that can be sold in isolation. ... We have an obligation to preserve history for future generations, and not just have things for our living rooms." American Indian stone tools, from the pre-Columbian Woodland culture, appraised by Slayter-Ralph in Detroit, June 2013. But the law that has perhaps most influenced the market in prehistoric and other important Indian objects is the Native American Graves Protection and Repatriation Act, known as NAGPRA. The 1990 law provides a process for having federally funded museums and other federal agencies "repatriate," or return, certain Native American cultural objects — human remains, objects from burial sites, sacred objects, or other important objects from a tribe's culture, called "cultural patrimony" — to the Native American groups they came from. Dr. Sherry Hutt, the national program manager of NAGPRA, says that it's often hard for people to know what they have, and what you are permitted to do with the Native American object. "So many times we get calls in which people say, 'This was in grandma's attic, and we want to do the right thing,'" says Hutt, who notes that people can't be expected to "know what comes from a grave." She emphasizes that in the cases of individuals, the National Park Service, which oversees NAGPR, avoids "finger-pointing." 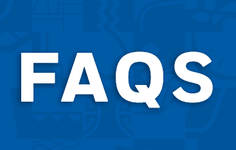 So what's the best way for someone to find out what they can do with what they own? On that question, there is heated debate. Hutt recommends that owners who want to learn the provenance of a Native American object take a simple step. "If you don't know what you have, it's okay," Hutt says, adding that people should "ask the tribe. That's the best advice — particularly if it looks old or special, because of the beading, the imagery, or the feathers." Tribal representatives will tell you an object's significance, Hutt says, or its insignificance. "You may just have an old pot," Hutt says, "in which case you can decide to keep it, sell it, or donate it to a museum." Buxton agrees that investigating the provenance of your Indian object is crucial because "sooner or later someone is going to pass it down, sell it or donate it." "I'd take it to a museum, or an auction house, or a qualified appraiser," Buxton says. They can often determine who made the object, whether it was stolen, and its value. But Buxton urges caution: "There's a whole lot of people who are offering advice that don't know what they are talking about." If you don't know what Indian group your object came from, Hutt also suggests you contact a museum, such as a state museum, which may often have repositories of American Indian materials; or a museum that exhibits these objects, such as the Heard Museum in Phoenix, the History Colorado Museum in Denver, or the Field Museum of Natural History in Chicago. They will usually be able to identify which Native American group made the object, and may also be able to determine whether it falls under NAGPRA's legal umbrella or not. Shackelford says that enforcement of laws pertaining to prehistoric objects has been stepped up in recent years because the potential to make money from archaeological treasures has expanded, especially from pieces taken from graves, which "tend to survive in a more complete state" than those found in excavation sites, Shackelford says. 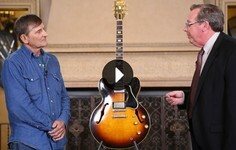 "Pieces that have once sold for 50 dollars now sell for thousands, or tens of thousands of dollars," Shackelford says. "There's a large market for Indian artifacts in the decorator crowd. A lot of people who grew up with little Anasazi bowls on the coffee table now want bigger bowls to fill up large Southwest-style houses." "Make sure to get paperwork by a reputable seller so you have something to stand on if it blows up in your face," Shackelford says. 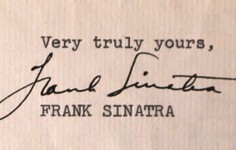 "If the guy says it's not a problem to buy it, have him put it in writing. If there is a problem, you can take him to court and say you want your money back." Shackelford also notes that there are plenty of beautiful — and legal — Native American materials on the market, such as decorative items made by contemporary Native American craftsmen. And what of that Anasazi pot that showed up in Kansas City? "It was probably found on private land, so it's probably okay to sell," Shackelford says, repeating a word that comes up often with objects that haven't been vetted thoroughly. "Probably." U.S. Fish and Wildlife Servce: Can I Sell It? Zuni olla pot, ca. 1885, appraised by John Buxton in Milwaukee, July 2006. 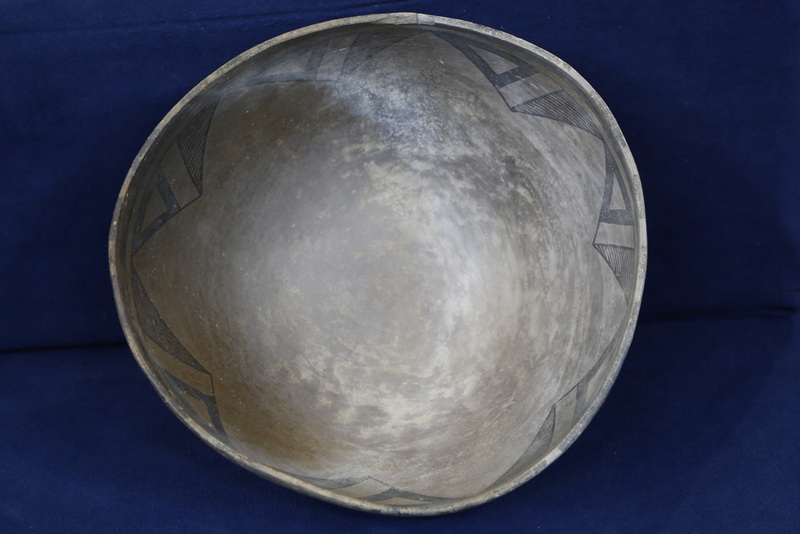 North Eastern American Indian burlwood bowl with ladles, ca. 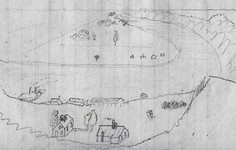 1810, appraised by Bruce Shackelford in Boston, June 2012. 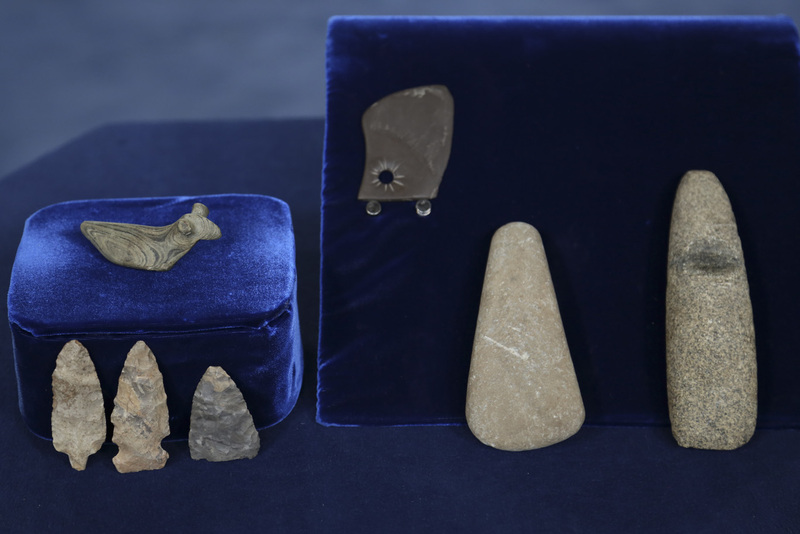 American Indian stone tools, from the pre-Columbian Woodland culture, appraised by Slayter-Ralph in Detroit, June 2013. A Pre-Columbian Anasazi ceramic vessel, appraised by Anthony Slayter-Ralph in Kansas City, August 2013. 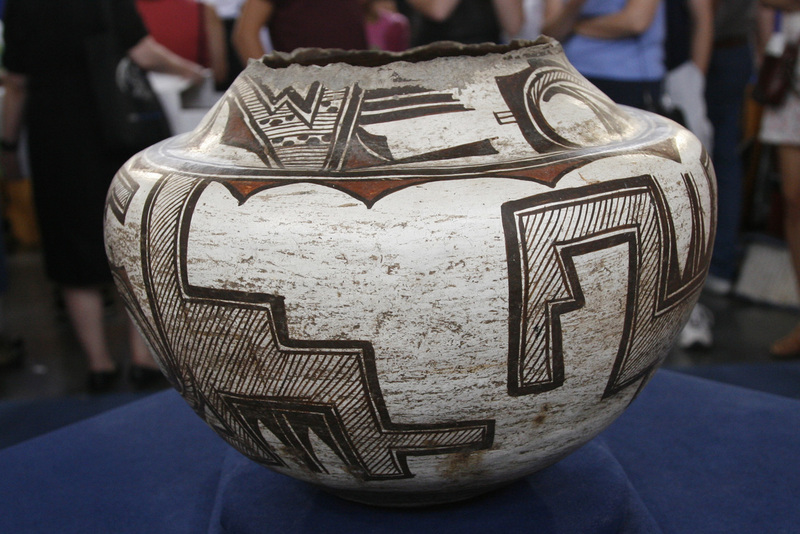 A Pre-Columbian Anasazi ceramic vessel, appraised by Anthony Slayter-Ralph in Kansas City, August 2013.